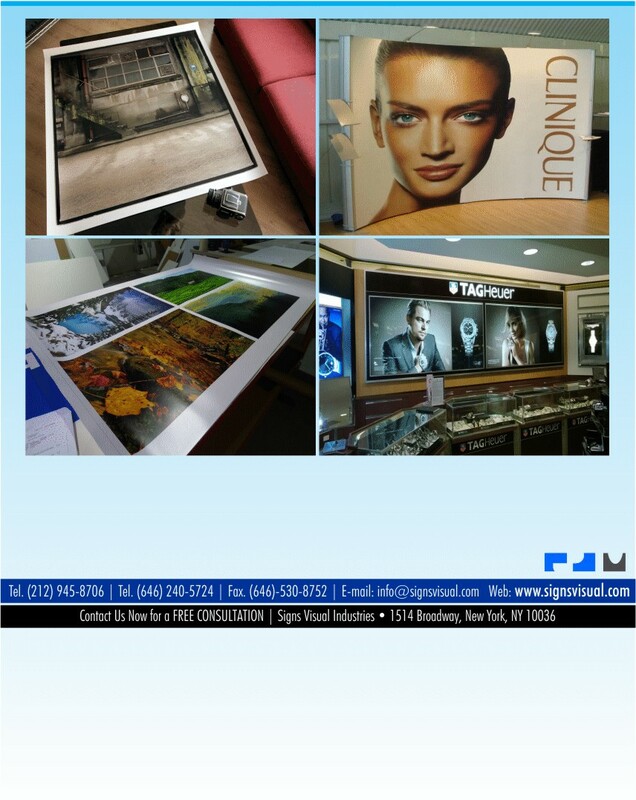 Signs Visual prints high quality photographic c-prints, duratrans prints, and retail point of purchase signage and graphics in New York, NY. Our lambda durst printers output these graphics using lightjet technology with unparalleled clarity and resolution. C-prints and duratrans prints are typically used for indoor signage in retail areas where customer attraction is key. Our photographic prints are the best quality in New York so call us today for a free consultation on your next photo print order in NYC!